The Maotianshan Shales are a series of lower Cambrian deposits in the Chiungchussu formation, famous for their Konservat Lagerstätten, or high number of fossils preserved in place. The Maotianshan shales form one of some forty Cambrian fossil locations worldwide exhibiting exquisite preservation of rarely preserved, non-mineralized soft tissue, comparable to the fossils of the Burgess Shale. 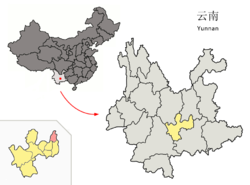 They take their name from Maotianshan Hill (Chinese: 帽天山; pinyin: Màotiānshān) in Chengjiang County, Yunnan Province, China. The most famous assemblage of organisms are referred to as the Chengjiang biota for the multiple scattered fossil sites in Chengjiang. The age of the Chengjiang Lagerstätte is locally termed Qiongzhusian, a stage indisputably correlated to the late Atdabanian Stage in Siberian sequences of the middle of the Lower Cambrian. It dates to between 525 and 520 million years ago - a period situated in the middle of the early Cambrian epoch and at least some 10 million years older than the Burgess Shale. 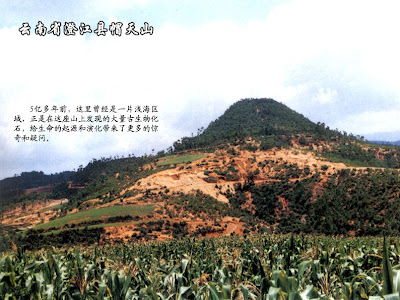 The shales also contain the slightly younger Guanshan biota. 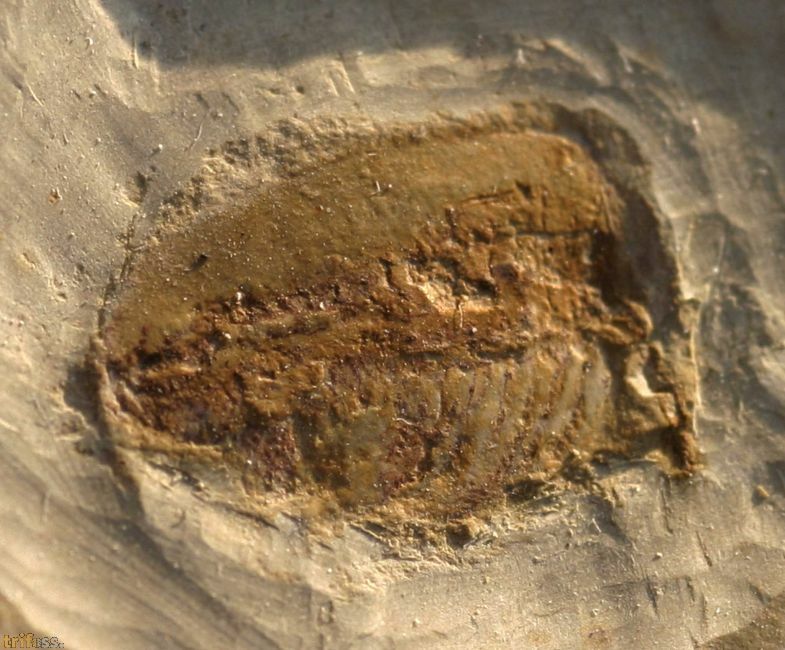 Although fossils from the region have been known from the early part of the twentieth century, Chengjiang was first recognized for its exquisite states of preservation with the 1984 discovery of the naraoiid Misszhouia, a soft-bodied relative of trilobites. Since then, the locality has been intensively studied by scientists from throughout the world, yielding a constant flow of new discoveries and triggering an extensive scientific debate surrounding the interpretation of discoveries. Over this time, various taxa have been revised or re-assigned to different groups. Interpretations have led to many refinements of the phylogeny of various groups and even the erection of the new phylum Vetulicolia of primitive deuterostomes. The Chengjiang biota already has all the animal groups found in the Burgess Shale; however, since it is ten million years older, it more strongly supports the deduction that metazoans diversified earlier or faster in the early Cambrian than does the Burgess Shale fauna alone. The preservation of an extremely diverse faunal assemblage renders the Maotianshan shale the world’s most important locality for understanding the evolution of early multi-cellular life, and particularly the members of phylum Chordata, which includes all vertebrates. The Chengjiang fossils comprise the oldest diverse metazoan assemblage above the Proterozoic-Phanerozoic transition, and thus the fossil record’s best data source for understanding the apparently rapid diversification of life known as the Cambrian Explosion. Or in one word: Wow! And let us not be fooled by the wording in the quoted text - as for now, nobody really understands the "apparently" rapid diversification of life known as the Cambrian Explosion.